I would like to recommend a job search engine that would be useful for your readers if you'd like to give it a try it's called Trovit.com. I really enjoy reading your posts and I hope you have a happy Wednesday! I would just like to applaud your efforts and thank you for talking real talk about a horrifying issue - and one that is not going away - the unemployed and the people who refuse to grant them their humanity! 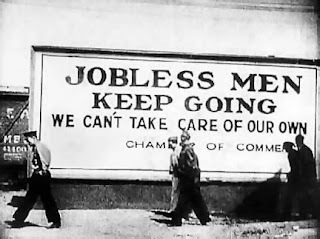 I am furious that more is not being done to oppose this unfair and unreal sentiment - most of the people unemployed would gladly do any job to make money and have a purpose to their life! Anyone who doesn't grant this is inhuman!! I'm so happy that you found a job, and are still caring and wanting to help the plight of the unemployed. Thank you!! !